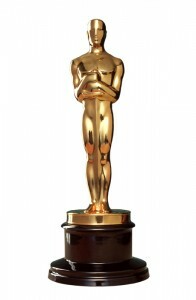 Last Sunday over 40 million people in the U.S. watched the Academy Awards. Those movies who won big will enjoy an increase in interest. Traditionally, the studios that won big have increased theaters and boosted their marketing to drive the Academy Award viewers to the cinemas, but at the box office is not where studios will be looking to, to cash in on their Oscar night triumphs. Most of the nominees for Best Picture are close to the end of their runs in theaters and already were able to capitalize on being nominated for an Oscar. Therefore now it will be DVDs, pay per view and downloads that will be where the majority of consumers will be spending their money over the upcoming weeks and where the movie studios are likely to cash in on their triumphs from last Sunday’s Oscars. Argo, the winner of Best Picture was released October 12 of last year but remains in some theaters. It earned more than $2 million from 800 locations for Warner Bros last weekend to up its domestic earnings to $130 million. However, since February 19, it has been available on DVD and download and the growth will come from there. It is not easy to quantify the size of the boost the win at the Oscars will give the movies as the studios guard sales closely on their ancillary revenues such as DVD sales and downloads. However, it is certain the win on Sunday helps. Music also can help boost sales, as the soundtrack for movies are often times big sellers.